If there was ever one word that described the passion that drives Indians then that word is cricket. Be it T20, ODI, IPL or a 5 day test match, we cannot miss a single over. We glue ourselves to our TV screens and god forbid if we have to leave the house we need a constant radio commentary to keep us going. Be it gully cricket or kids playing cricket in the local circuits, since a young age we develop an affinity to this game and we enjoy every format of this game. Now in a world where we all own smartphones, we can bring the magic of cricket onto our phones so we never have to miss a game or miss details about our favourite team in the IPL or when India plays against other countries. This is the No.1 app on the Google Play store for cricket enthusiasts who cannot live without cricket. 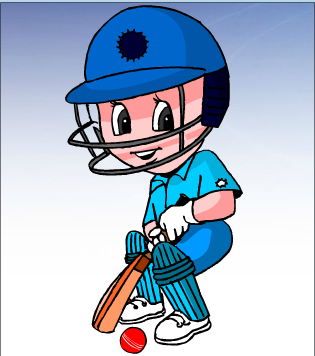 The app has complete information and lets you know all the details about ICC World Cup. IPL8, ICC World T20 as well as Champions League T20 along with other major cricket tournaments covered. Now follow your favourite team and get to know about the venues, stadiums and photos from cricket matches along with a detailed view of the games’ statistics. You can change to a number of languages including Hindi, Kannada, Telugu and Bengali amongst a few others. Now get all the live updates and match alerts along with player profiles and their rankings to never miss any information on cricket or your favourite player again. You can also share the enthusiasm amongst your friends on Twitter and Facebook. If you’re a cricket enthusiast you can purchase cricket related accessories by redeeming exclusive AskmeBazaar Coupons given exclusively by CashKaro and bring home all the goods you need to be the cricket star of your locality. Here you can also avail sports product offers that is extremely affordable and fits your budget. This is the official app for the Star Sports channel which brings to you live scores not only for cricket but also live football, tennis and badminton scores if you’re interested in following other sports as well. You can catch all the drama unveiling at the IPL and find out which team won and which team got knocked down and support your favourite team and get live scorecard updates, ball by ball commentary, points table update and other important statistics related to the game. You can now catch full replays in case you happen to miss your match as well as have features like video on demand and get highlights and live streaming of other sports all under one app. This app surely answers all your sports related prayers. This is a great social app that lets you catch up with cricket scores and give you features like Live chat, social media rage and commentary amongst many more features to keep you busy. Share a live virtual stadium with your friends and laugh and cheer with other cricket fans as this app makes it fun to follow cricket. You can share pictures and files with your friends and always know the latest with access to Facebook, Twitter from within the app itself. Share your emotions with all the other fans when your favourite team wins and even if it loses it doesn’t hurt to share the pain. You can even create a group of your favourite friends to chat with so you never miss out on important cricket gossip. This app really brings together social media and cricket all together in one app which should keep you occupied and obsessed for hours. This game is for those who cannot live without cricket- if they’re not watching a match then they’re most probably playing one. Now bring the magic of a cricket tournament to your mobiles with this intensive game in which you can choose from amongst 16 nations and 8 master teams. The controls are simple and will make you addicted to the game. The graphics too are commendable and the 2D motion shows you every movement in great detail. This app is definitely one of the best apps to play virtual cricket but one which gives you real time fun. With the internet advancement, we can get all the detailed news and updates about our favourite teams and players all thanks to these apps which make sure we never have to live a day without our favourite game being a part of it! live cricket score, this is my forever fever. I use many apps to get the updates on my iPhone. I like cricitch LIVE cricket android app for live score. For live cricket, i see The ESPNcricinfo Cricket App,but now a days,too many ads in between. You can monitor the location of a loved one who made need special monitoring and care, have a peek at this site to find more.